We thought you would want to document or make note of a rumored sighting of some bigfeet that most times stay together as in like a family or friendly group. Sometimes the local stories carry some truth. 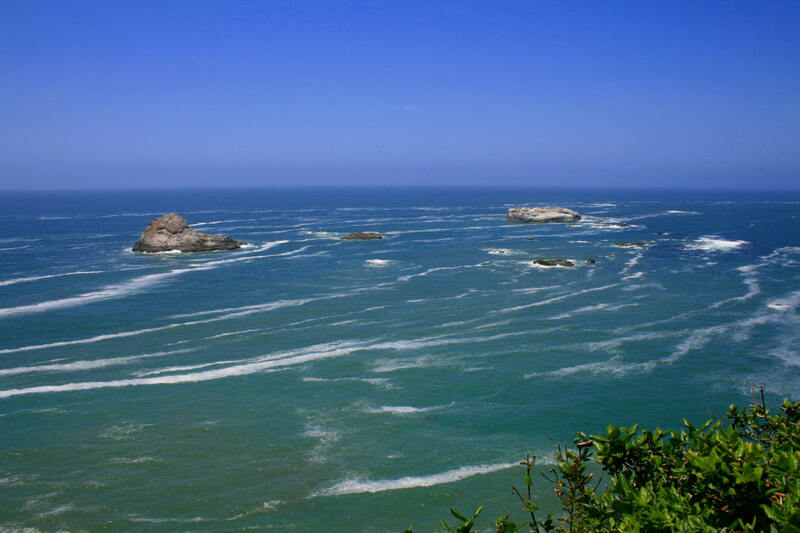 The general area of these sightings is Trinidad coast line, California. we talked too, a local there on the beach said this group of bigfeet swims between Trinidad Head Rock on the lighthouse side north to Flat Iron Rock frequently, sometimes apparently with sea lions. Fishermen have seen them and they have been watched with binoculars from the cliffs, or so this guy said. He didn't seem to be a story-teller, but a nice old fella. Three have been seen this winter swimming or fishing in that area, the cold water doesn't seem to bother them and nobody seems to know exactly what they are doing out there. The man said they seem to know when the park is closed, come ashore when there is no foot traffic but where they go from there, nobody knows. We were told the locals do not want people bothering them, the native folk are superstitious about disturbing the bigfoot and usually deny their presence, (if they don't know you) but we heard they were seen this winter in groups of at least three individuals. The three of them are black, well built, and very leery of people. The biggest one appears to lead the way to and from and that one is a real HUGE, he said but precise height, I do not know, it is not possible to say when seeing them through binoculars, I guess, he said "just HUGE." The other two follow the lead of that big one. I guess the locals see them mostly in the water, one person said they probably come ashore after dark. Do you have any other reports from this stretch of beach? We thought there was more than fish there; must be some food source or some thing that keeps them out on those island rocks off shore; the man said there are sea caves on the west side of Trinidad Head Rock, there may be caves on the other rock formations. The side of Trinidad Head where the lighthouse is has steep cliff-overhangs, some caves supposedly mid-cliff, some are accessible by sea only. We were told that sea-gull eggs are abundant certain times of the year, this and mussels might be one attraction for the bigfoot creatures; also perch, black rockfish, smaller lingcod and cabezon, there is no shortage of rock fish but we think the remoteness of these caves and the inaccessibility by humans may play a bigger part in why they seemingly hang out between these two rocky outcroppings. If this is why they are out there, they must be excellent fisherman, divers, swimmers, climbers. Good luck, if you hear anything please get back to us.